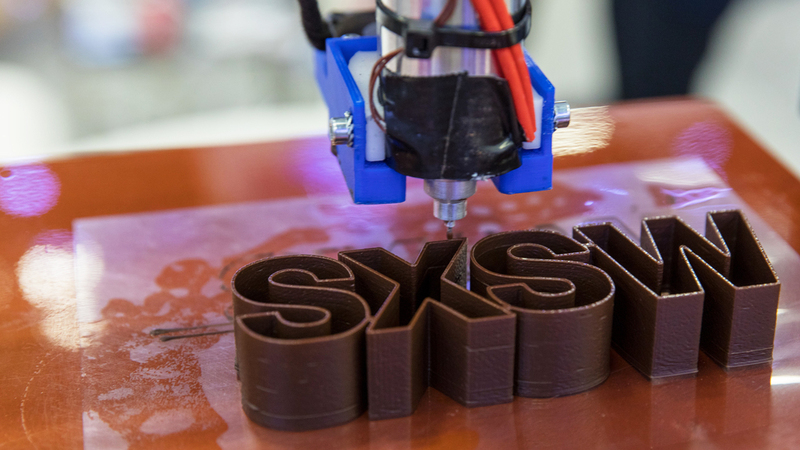 To highlight some examples of where ideas and technologies will merge together at SXSW 2019, we’ve curated a list of ten significant trends in our programming where we think these interactions will shape the future. 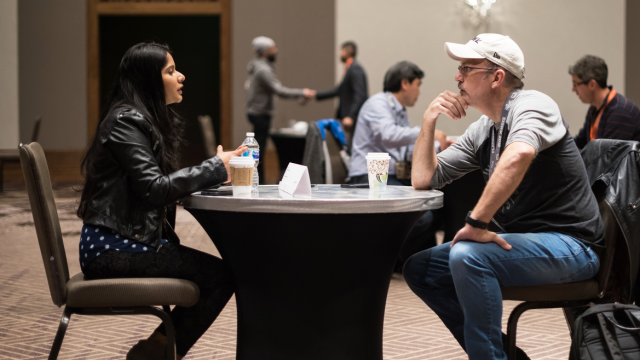 SXSW is where creative minds come together to drive the conversation and engage in creative problem solving around tech, entertainment, and culture. Deep dialogue and interaction between communities can increase their ability to innovate and expand. 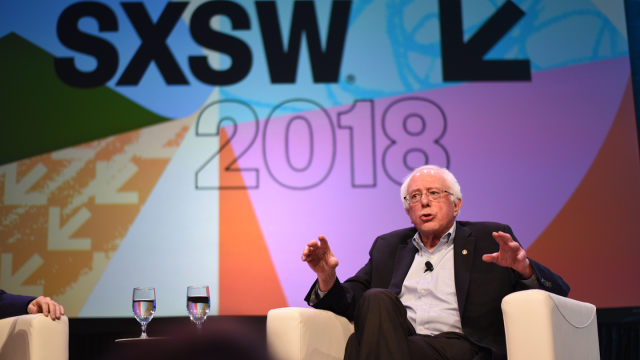 The diversity of ideas, and those that bring them to SXSW, creates previously unimagined opportunities like the exploration of the potential of AI in the film industry, blockchain technology’s impact on personalized medicine, or how individual empowerment fosters community movements and creates lasting social change. To highlight some examples of where ideas and technologies will merge together at SXSW 2019, we’ve curated a list of ten significant trends in our programming where we think these interactions will shape the future. Below each trend, explore related SXSW Conference Tracks and 2019 programmed sessions. While the poster child for blockchain is cryptocurrency, the real evolution is quickly being built behind the scenes. The sites and services we all use now will look and function the same as they always have, but will be built on blockchain. Cryptographically secure and decentralized, this new digital infrastructure will open up a world of possibilities and transparency across industries. At the same time, it will provoke world economies with the new reality that digital currency is the rocket fuel that will drive this innovation, and it’s here to stay. We are increasingly dependent on but distrustful of digital technology. The information we consume isn’t always reliable, our personal data isn’t always private, and our filtered bubbles are vulnerable to bad actors abusing our social networks. Automation and AI have become trigger words forecasting an apocalypse on our doorstep. It is an environment where companies will need to invest in becoming more trustworthy to their competitive advantage. It will be crucial, as more than half of the world has still yet to get online. Documentaries and genre/horror films have historically been seen as niche areas in the film industry, with small but devout audiences — but box office returns over the past two years say otherwise. Genre films like A Quiet Place, Get Out, and Hereditary have been both critical and box office successes, while Won’t You Be My Neighbor, RBG, and Three Identical Strangers have exceeded expectations for documentaries. Are there defining factors leading to this pop interest, or is this the new normal? On two wheels or four, above or below ground the rapid evolution of mobility and delivery continues to change how we get around and get what we want. By land or soon by air, on-demand ecosystems continue to be created, grow, and consolidate creating lower costs for the consumer. As an AI-powered future gets closer it has begun affecting everything from gig economy rights to urban design to air space regulation. Old and new transportation companies must continue to adapt quickly or lose out on the trillion dollar economy of a world that arrives either curbside or at our doorstep and soon from out of the sky. Come experience this trend first hand at the Future of Mobility Showcase happening within the Trade Show from Sunday, March 10 through Wednesday, March 13. As the legal cannabis industry grows into new markets and matures in existing ones, unique product offerings and budding businesses are paving the way for options for curious consumers — ranging from the elderly to wellness-first thinkers. The proliferation of CBD and non-psychoactive products has medical consumers looking for less harmful ways to treat chronic pain and other ailments, while THC-based products can now be easily consumed in a way that would feel familiar to a wider range of people. Robotics, automation, and AI have brought new types of work with them. Connectivity and globalization are creating a new norm of flexible models of employment. This flexibility means income streams will become irregular, as more workers trade a consistent salary for gig economy work and even those with traditional careers will experience the enhanced flexibility and persistent demands inherent to connectivity. Skill matching, broad underemployment and evolving education systems will continue to be key factors in how jobs are designed and the future of work defined. The growing optimism about blockchain’s effect on transparency in the music industry — from distribution and payment processing to broad rights management — has led to multi-million dollar funding of recent upstarts like Audius, MusicLife, and eMusic, as well as longer-running operations like Ujo Music, Stem, PeerTracks, or dot blockchain. That said, very little has actually been delivered to market, and the rights-holder world is increasingly complex. Is the blockchain-as-panacea hope overblown? MoviePass and FilmStruck may be making an exit, but subscription services seem to be the way of the future. Streaming services like Netflix, Hulu, and Amazon Prime are ubiquitous in home viewing, but with the advent of Apple, Disney, and the newly-minted WarnerMedia developing OTT platforms, the battle for original content, and eyeballs, is heating up. Media companies see the affordable monthly model as a way to tap into an ever-growing, cord-cutting audience. But the model requires massive investment in content and developing properties. The MoviePass model of old might be gone, but it looks like the idea of content subscription services has hit a nerve. We’ve gone from theory to practice in the AI vs. human curation debate across creative industries. In music, AI is now actively used in streaming playlists, scouting new talent, picking the right sync placement, suggesting brand partnerships, finding new fans, creating music, and much more. So why are top curators still so sought after? The human touch clearly still has advantages — or at least has to refine AI for optimal results. Virtual Reality has accelerated towards the mainstream — but drafting in VR’s wake is commercial adoption of Augmented Reality. With ARKit and ARCore making mobile AR applications easier to create, its potential grows exponentially. We are now entering XR — or Cross Reality—encompassing the increasing appearance of the visual language of digital technology and the Internet in the physical world. As it seamlessly blends physical and digital worlds, the perception of virtual objects becomes fully real. 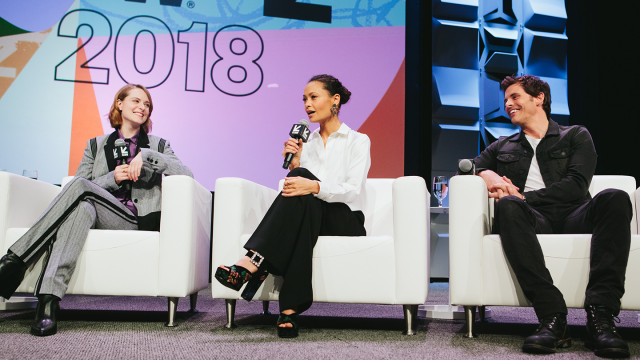 Dive into trends from previous SXSW events in 2018 and 2017. 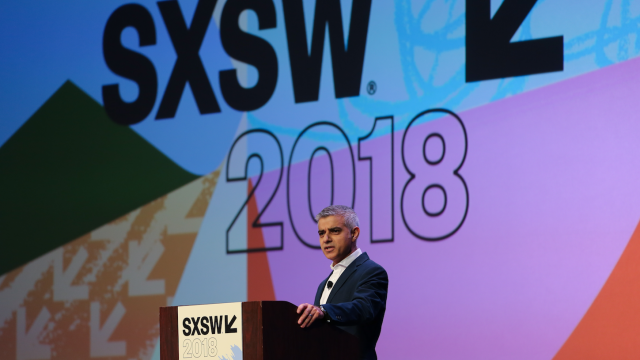 Explore what’s next in the worlds of film, culture, music, and technology at the SXSW Conference spanning 25 tracks of programming from March 8-16 in a variety of formatting including Keynotes, Featured Speakers, and more.